RICHT!!!! A CONFERENCE TITLE…WE WANT IT NOW!!!! I think I can confidently say that this is the prevailing sentiment around the Georgia fanbase. After making two consecutive SEC title games in 2012 and 2013, but failing to win both, this program has tasted a conference title very recently. However, you have to go all the way back to 2005 to find the last Georgia team that could call itself SEC champions. With the talent and prestige surrounding this program, it is high time for that to translate into a conference title. Will this be the year? 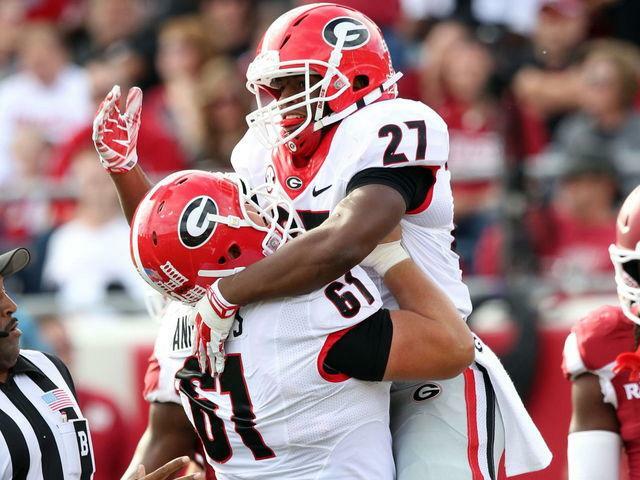 Georgia fans will all be going “Full Chubb” in 2015. 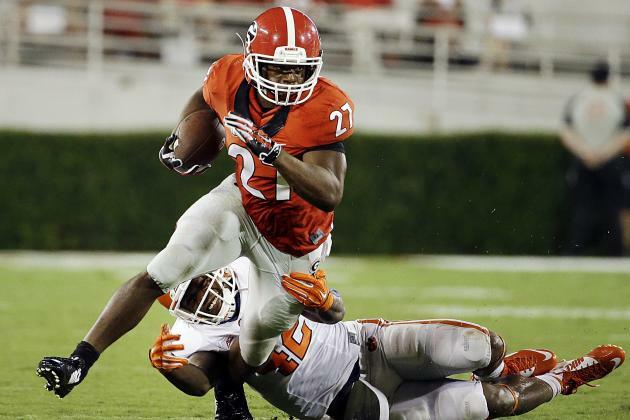 And by that, I mean Nick Chubb, who emerged as an absolute star as a true freshman last season. Chubb rushed for over 1,500 yards and 14 touchdowns last season, despite only starting eight games and having a first-round pick in Todd Gurley also on the team in-between a suspension and a knee injury. Chubb won’t have to do it alone though. Sony Michel was an even more highly touted recruit than Chubb last season, and was a versatile weapon in the Dawgs’ offense when on the field. Keith Marshall will also be in the mix, and for all that is good, I hope he can stay on the field this season. Marshall’s once-promising career has been unhinged by injuries, but if there is a silver lining it’s that he is a very smart guy and should have no issue making a good living for himself doing something other than playing football. Four starters return to an offensive line that was already one of the best in the conference last season. Center David Andrews isn’t a trivial loss, but you have to feel pretty good about a line that was already good and returns both guards and tackles. Right guard Greg Pyke was a second-team All-SEC selection last season. John Theus and Kolton Houston were both highly regarded tackle recruits coming out of high school, especially Theus. Losing Chris Conley and Michael Bennett means that Georgia won’t return a single receiver who topped 300 yards receiving. Malcolm Mitchell is back for his eighth (hyperbole) season in Athens, and he is a guy, like Marshall, who I’d desperately like to see stay healthy this season. Isaiah “The Human Joystick” McKenzie also is expected to play a bigger role in the receiving game this season, even at 5’8″ and 170 pounds. McKenzie has already asserted himself as a special teams wizard being an almost unanimous preseason All-SEC return man. Tight ends Jeb Blazevich and Jay Rome should also make major contributions in the passing game this season. A still unsolved quarterback situation is the only source of concern for the offense heading into the season. Brice Ramsey was listed as the starter heading into fall camp, and based on my sourceless opinion, will be the starter. Virginia transfer Greyson Lamber will compete for the job, as will junior Faton Bauta and redshirt freshman Sam Vaughn. (Vaughn won’t win the job). At the end of the day, it was always Ramsey’s job to lose, so if he’s not just flat-out worse than someone else in training camp then there’s no reason to not give him the job. Jordan Jenkins, Leonard Floyd and Lorenzo Carter give the Dawgs the best pass-rushing linebacker corps in the conference. These three combined for 25 tackles for loss and 15.5 sacks last season. Floyd is also widely considered a top-ten pick in next year’s draft. Carter, a sophomore, will be a rotation piece with Floyd at the “Sam” linebacker position, while Jenkins starts at the “Jack” position. Tim Kimbrough and Reggie Carter fill out the starting rotation at the “Will” and “Mike”, respectively, replacing last season’s leading tacklers Ramik Wilson and Amarlo Herrera. With three sophomores starting on the back end, the secondary will be young, but they should also be solid. Aaron Davis and Malkom Parrish were listed as the starters at corner heading into the fall, and that should hold. Davis had 33.5 tackles, an interception and five pass break-ups a season ago. Dominick Sanders also returns at safety where he saw considerable playing time as a freshman last season. Sanders intercepted three passes and broke up five more last season. The “old fogey” of this starting group is Quincy Mauger, who intercepted four passes and broke up four more for the Dawgs last season. Georgia’s defensive line was underwhelming in the stat column last season, and with the leading three tacklers gone there isn’t much to suggest this season will be different. Sterling Bailey and Josh Dawson both played significantly last season at defensive tackle and end, respectively. 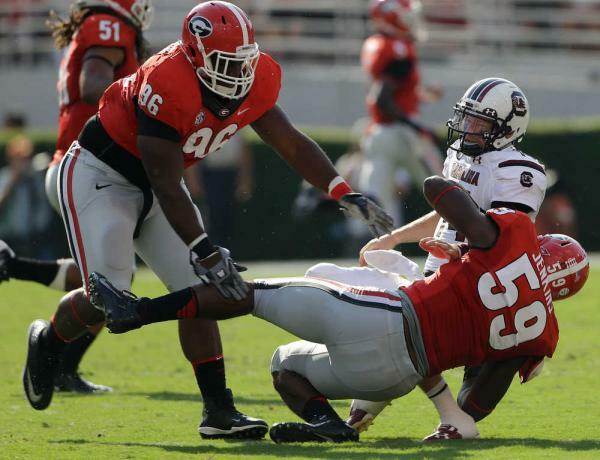 The one player everyone should be excited to watch though is true freshman Trenton Thompson. Thompson was, at one point, the number one recruit in the country at defensive tackle, and even if he won’t start should make a significant impact as a true freshman. Many of you may call me a “homer” for this pick, but if you ask anyone who knew me in college, they will tell you that I was notoriously harsh on the Dawgs. This isn’t my attempt at atonement for that either. I genuinely believe that this is finally Georgia’s time to breakthrough. They are the best team in the East, and even though they do have to play Auburn and Alabama in their crossover games, they get Alabama at home and are used to traveling to Auburn. I do think they drop one of those two games, although I’m not sure which I think it will be, but I also believe that will be the only blemish on the way to an otherwise excellent season.